It's hard for me to reconcile stretchy orange stirrup pants with a sable coat, but then The 1% have always had a unique sense of style. 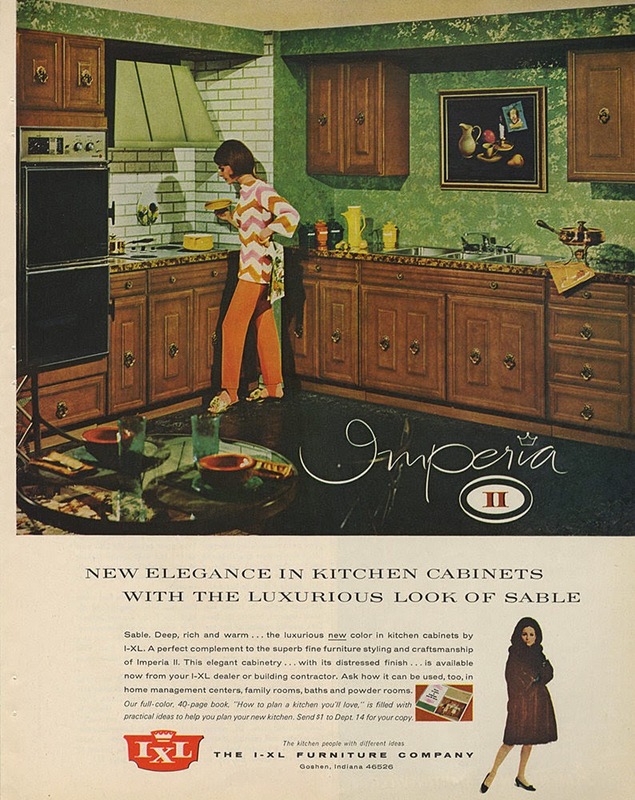 I'm assuming that's the social strata that occupied the tellingly named 'Imperia II' kitchen back in 1965. Nothing says 'elegance' like ornate, medallion-like handles centered on raised-panel doors—with the possible exception of faux-fur-covered cabinets, which is exactly what the unfortunately-worded headline of this ad promises.